We’ve all been there before. We spend weeks — even months — developing a piece of content. And we do all the right things: we receive buy-in from all key stakeholders, interview subject-matter experts, conduct extensive research and collaborate with design to ensure everything was executed flawlessly. But when we finally launch the asset, we find that it’s not generating the leads we expected. What went wrong? How are we promoting the asset? You can’t just publish an asset in your resource center and expect the leads to come rolling in. Content needs to be supported by a multi-channel promotional strategy that includes email, social, digital advertising and other tactics. Are we using the right amplification channels for our audience? Most marketing campaigns tend to have a combination of the same channels, but you may find that your particular audience spends more time on LinkedIn than Twitter, or reads more industry-specific trade publications instead of The New York Times. The point is, it’s not just about promoting your content to as many people as possible; it’s about promoting your content to the right people. Take an honest look at your tactical mix, and make sure you’re truly taking a buyer-focused approach. Is your copy compelling and concise? Your buyers are drowning in emails from vendors, so you need to work harder to stand out. Email copy and subject lines need to follow the three C’s. They need to be clear, concise and captivating. Most importantly, your copy needs to accurately reflect the contents of your asset. You may have amazing email copy that drives a lot of clicks and opens, but then you come to realize that these people aren’t actually downloading the piece. There’s a clear messaging disconnect that can be fixed easily. The same can be said for all other promotional channels — even call-to-action buttons! All copy needs to be concise, relevant to your audience and to reflect the content’s value. How’s your user experience? The user experience encompasses everything your buyer touches from your brand. It’s the emails you send, the landing pages you launch and the social images you post. So the worst thing you can do is create barriers or points of frustration between these channels and your content. Do a quick gut check: Are your emails easy to read and navigate? Are your landing pages clean and organized? Do your social posts and images include any broken links? All of these elements can be fixed, and they won’t require a lot of time or manpower. Does your design stink? There’s nothing worse than content and promotional pieces that are an eyesore. Even the most subtle elements, such as the colors you use and the images you select, can impact your audience’s perspective of your content and, most of all, your brand. There are a lot of interesting articles focused on the psychology of color and how the colors you use can impact audience action. That’s right: even the colors you use in an email or call-to-action button can influence your lead generation results. 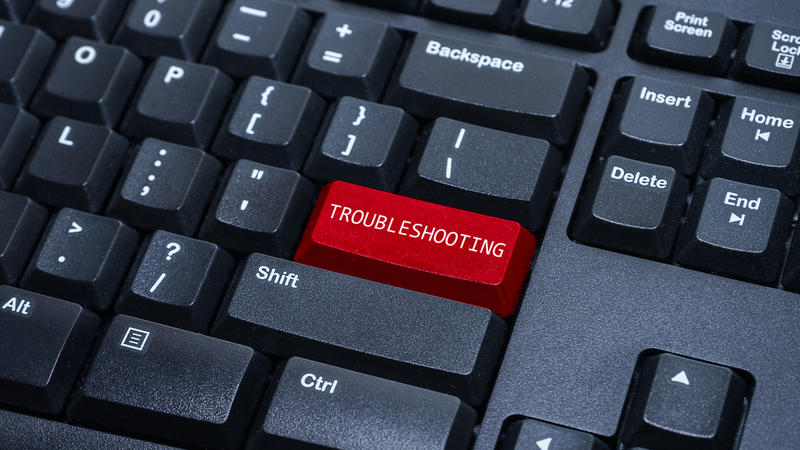 Go through these five troubleshooting exercises to ensure there aren’t quicker changes you can make to drive more content engagement. Of course, you need to be patient and let some time pass to ensure any adjustments make an impact. This article originally appeared on the Content4Demand blog and has been republished with permission.